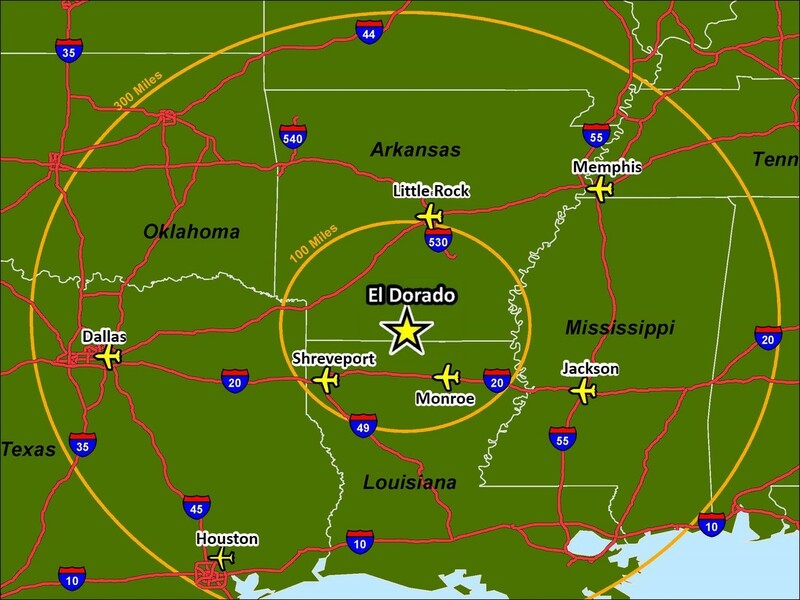 The South Arkansas Regional Airport at Goodwin Field is your gateway for air travel to and from El Dorado and all of South Arkansas and Northern Louisiana. The city-owned municipal airport supports general aviation with private hangers and a full service fixed based operator, supplying both 100LL and Jet A fuel. Aircraft maintenance services can also be arranged. 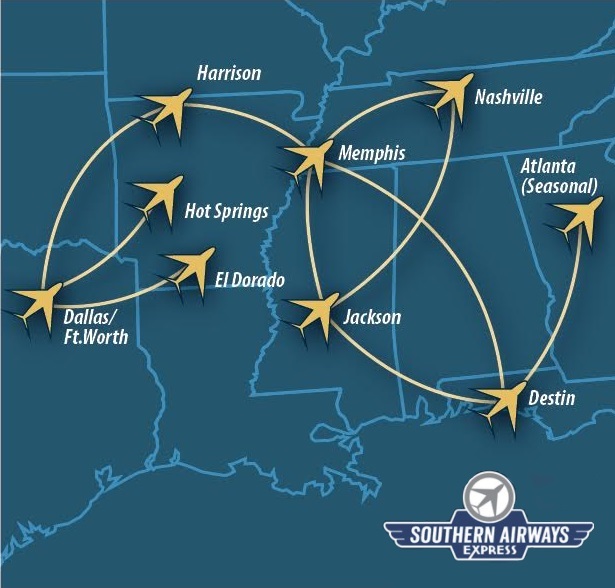 The airport is home to several corporate flight departments and offers daily commercial air service to and from Dallas/Ft.Worth via Southern Airways Express. 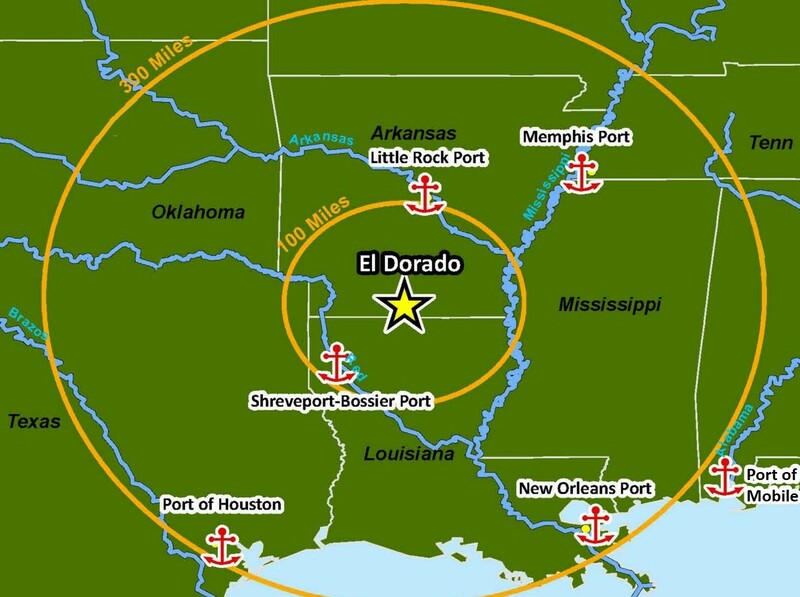 This El Dorado highway map shows the main highways in El Dorado. To see a complete map of all city roads and railroads click here. This google map shows the three rail providers in Union County. View the El Dorado traffic count map to see daily traffic estimates of the most frequently traveled roads in the city, or view a more detailed traffic map by clicking here. Check out the average daily traffic counts for the main roads throughout the entire county by clicking on this Union County traffic count map.